This Sunday celebrates the joint moment of the Presentation of Jesus and the Purification of Our Lady in the Temple. 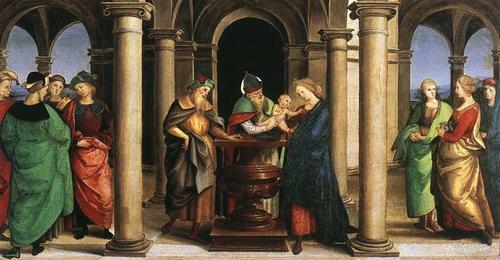 It completes the mystery of Christmas and the moment Jesus is recognised by Simeon as the Light of the Nations. As you know, I have long believed that the completion of our new Parish Centre is also a sign to our locality that the Church mirrors the image of Christ in our world. I hope that many of you will participate in the Opening of our new Parish Centre next Sunday. It will begin at 1.00pm in the church with a short liturgy and blessing at which the Bishop will preside. There will be a specially commissioned Te Deum sung and then we will process to the new building where there will be an afternoon of celebration which will conclude with Benediction of the Blessed Sacrament in the Church at four o’clock. I thank all those who have pledged a new chair for the building: there was a wonderfully generous response to this final Fundraising request. Part of the new Parish Centre complex includes a memorial garden for the Holy Souls. It is now possible to bury the cremated remains of Parishioners there. Please do speak to me if you wish to use this facility either in the event of a death in the family or for the interment of ashes which are already in your possession. There will be a suggested donation for these burials but this provision is available from now to any Parishioner. If you are accessing the Parish website you will be seeing a new format. It is now possible to subscribe via the website to receive the Newsletter electronically each week. I much look forward to our celebrations next Sunday and give thanks to God and His Mother for all your efforts which have brought us to this milestone.